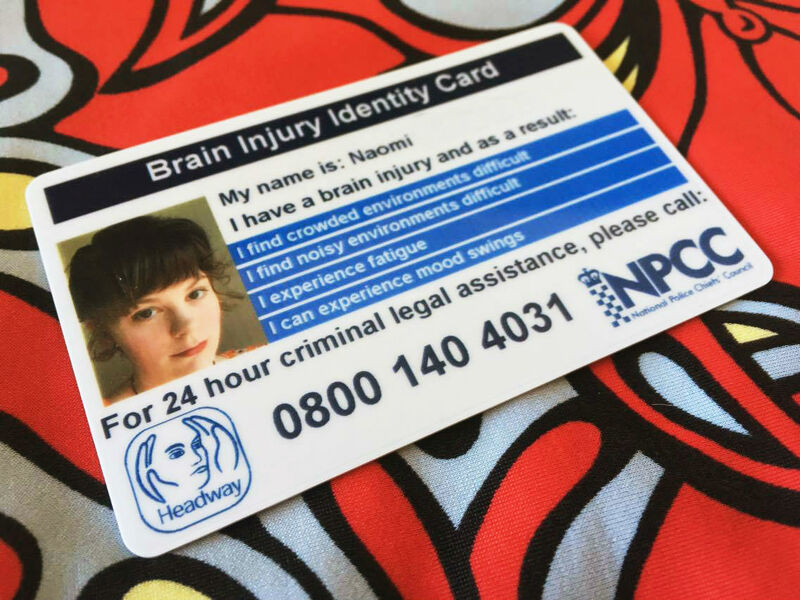 On Thursday 26th October Headway launched the Scottish version of this brain injury identity (ID) card and they’ve done an excellent job of promoting it. The Scottish card has Police Scotland (Keeping people safe) on it instead of NPCC (National Police Chiefs’ Council) and that’s the only difference. This card is a step in the right direction for raising brain injury awareness because it isn’t just for us, it’s for others too. When you show this card to someone they’re going to go from the situation and think about it, tell their friends, family and colleagues about what happened. Hopefully this will make people think more about the hidden disability that people with a brain injury live with. Apply for yours here, it’s so very easy to apply for. 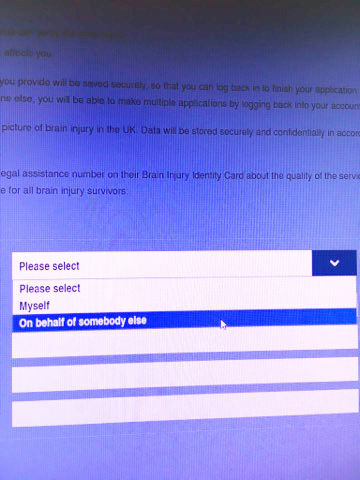 All you have to do is enter your name, attach proof of your brain injury (hospital document), attach a passport style photo of yourself, choose from a few drop down boxes the main problems you have because of your brain injury and your address so they can post it out to you. Another great thing about this card? It’s free of charge. Unfortunately though, it’s only available for people aged eighteen and over. I mentioned that this card isn’t just for us, it’s for others too and I’d like to talk more about that. I met someone on Friday and he asked what I did, I explained Alphabet Brains and he told me he’s got a twin brother who has a brain injury. He then goes on to tell me that his brother hasn’t received any professional help for seven years and all the problems his brother suffers with. We talk and after a while I bring out my card, “He should get one of these” I say and he said he saw that on the news this morning but he knows his brother would never apply for one “You can apply on his behalf” I say, I really want this man’s brother to get any help he can and this card will help him more than he knows.